Does your work look like this?! If so, don’t fret! 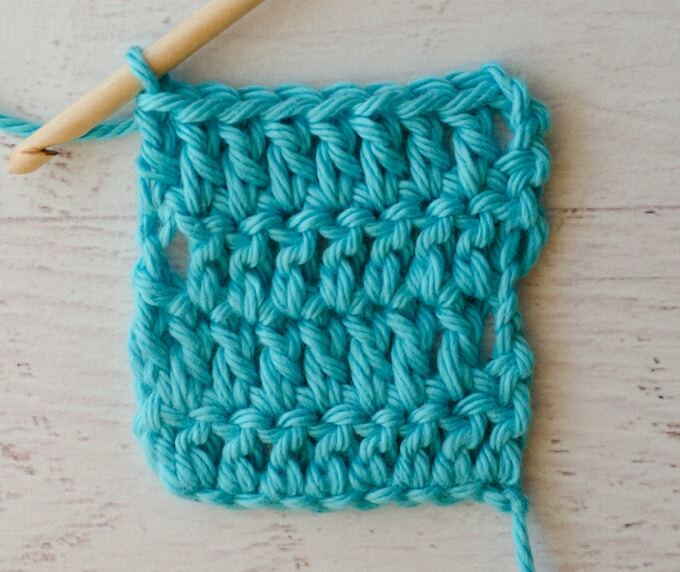 Most beginners have experienced this and I’m sure all crocheters remember a time when their work turned out crooked! It is an easy fix and I’m here to show you how! Crocheting straight is very easy once you understand how to do it. Remember a few weeks ago when I taught you how to count stitches? This is exactly why. When you don’t understand how to count the turning chain, it is easy to work too little or too many stitches in a row. Ask yourself, “does the turning chain count as a stitch”. In single crochet, it does NOT count. 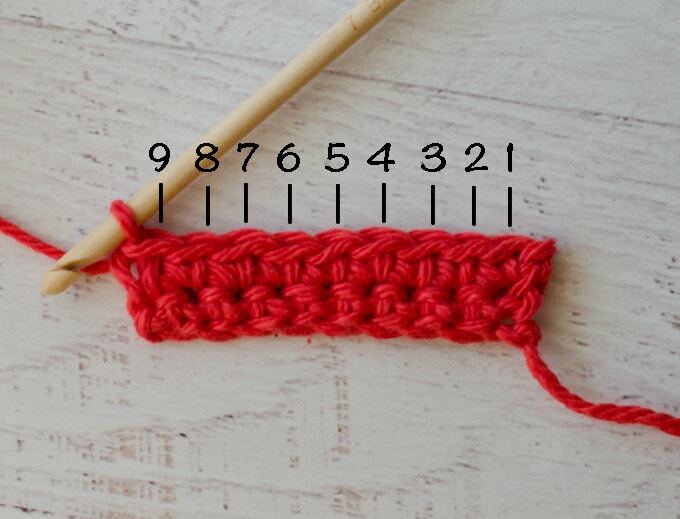 So if you are working many rows of single crochet, you always work into the single crochet of the row below. In double crochet and the other taller stitches, the turning chain DOES count as a stitch. So at the start of a new row, the turning chain counts as a stitch and the next double crochet goes into the next double crochet in the row beneath. At the end of a row, work the last double crochet into the top of the turning chain of the previous row. Here is an example showing the double crochet row worked correctly. The second key to working straight rows is to make sure you have the right number of stitches per row. When you are a beginner, it is a good idea to count the stitches in every row, just to make sure you have worked the right number. I often do this when I first start a project or if I am working a complicated row to make sure I did not work too many or too few stitches in my row! And now you know how to crochet straight! I love the internet and I absolutely LOVE that I can find all sorts of patterns made by independent designers. However, I want you to be aware that not all designers follow the American crochet standards. Many of them have learned on their own or have developed their own techniques. Some are aware of the standards, but choose to differ out of preference or because they are trying to achieve a certain technique. Other countries may (and do) have their own standards. I recently watched a video where the designer did not count the turning chain as a stitch. 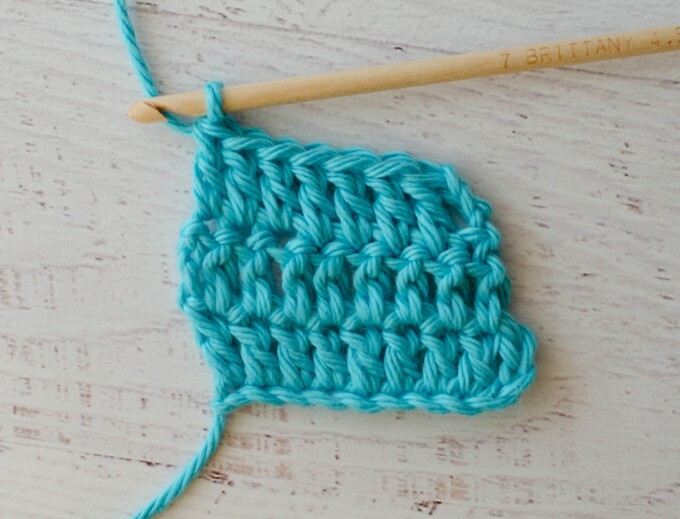 She did fewer number of stitches for her turning chain and since she was working in the round, she accommodated for this by skipping the turning chain and slip stitching to the next double crochet in the round. She did not “count” the chain as a stitch when she gave her stitch count. What I’m teaching on this website is consistent with the American standard method of crochet which is used in commercially printed patterns. I’d like you to be mindful of the differences so that you can make a decision whether to follow the pattern exactly or if you want to change it slightly to the crochet standards. I will usually change the pattern as I work it so that I am chaining and working stitches consistent to the American crochet standards. UNLESS it is a piece of clothing that I think will be impacted by the change OR if it is clear that this is a design/shaping choice by the designer. Please note that I am not saying another method is “wrong”. What I am saying is that the standards have been around for a long time and have produced consistent results. If you want to venture out and do your own thing to achieve a different result, then go for it! Just know what you are doing and why you are doing it. If you are like me and love to crochet, it is liberating to make decisions that work for you and give you the result you want! Hello Cheryl. I love your clear photos. Do you do videos of your instructions? Also, where can I find/see your instructions for the Upward and Outward afghan?